Kids will definitely enjoy planting flowers and plants that are colourful. Find the perfect spot where kids can see the progress of the hard work; this will make them watch the changes happening to the plants or flowers. Kids love to play with dirt give them kiddie sized tools to help you with remove the clumps of soil. Kids love to play with water too! 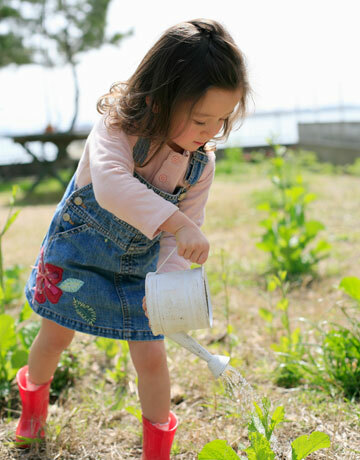 Gardening would involve watering plants or soil; your little ones would love to do it for you. My nephew sometimes helps me water the plants but he doesn’t like getting his hands dirty.